As you may remember, Jio had last month started offering a new invite-only testing phase called the a ‘Preview Offer’ under which it offered unlimited use of its network for anyone who would buy a LYF phone. The preview offer was a big hit, with thousands of people eager to try out the network despite reports of black spots and other network issues. In fact, the primary reason for the preview offer was to find out how the network scaled in the face of strong demand. Some people have already downloaded hundreds of GBs of data since getting hold of the preview SIM. Going by the decision to open it up to new users, it looks like the network has stood the initial test well. 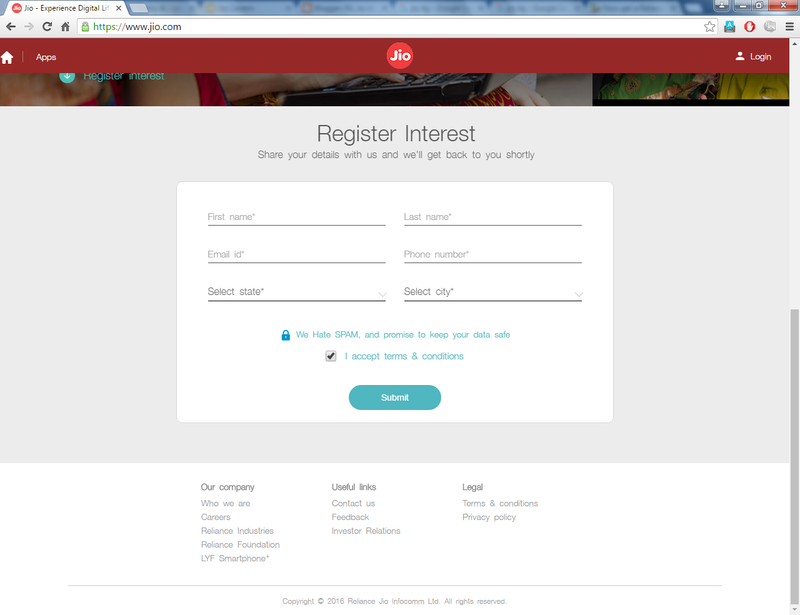 No information is available about when the new users who register their interest on Jio.com will be given SIM cards and connection.